Dr. Kingham accepts the following list of insurance providers. Select your insurance provider to see more details. As a surgeon with specialty training in surgical oncology, I care for people with benign and malignant (cancerous) diseases of the liver, gallbladder, bile ducts, and pancreas, as well as cancers that have spread to the liver from the colon. I am one of seven board-certified surgeons at Memorial Sloan Kettering who specialize in treating these diseases. Together we perform between 800 and 1,000 cancer-related operations every year. One unique aspect of care at MSK is that patient cases are discussed at weekly meetings of our Hepatopancreatobiliary Disease Management Team, which is made up of world leaders in surgery, medical oncology, radiation oncology, radiology, gastroenterology, nursing, and other specialties, to provide the very best, individualized care for our patients. One of my main goals as a surgeon is to find more-effective ways to remove liver and pancreas tumors through techniques that are considered minimally invasive. This helps reduce the physical stress on patients and the amount of time it takes for them to recover from an operation. Advances in laparoscopic and robotic surgical approaches have helped make this happen, and many of these techniques were originally developed at MSK. I use both robotic and laparoscopic approaches to treat many liver, gallbladder, and pancreas tumors. My colleagues and I also continue to look for more and better ways to reduce the stress on our patients from surgery, including using heat (ablation) and electricity (irreversible electroporation) to kill tumors through an approach called image-guided ablation. 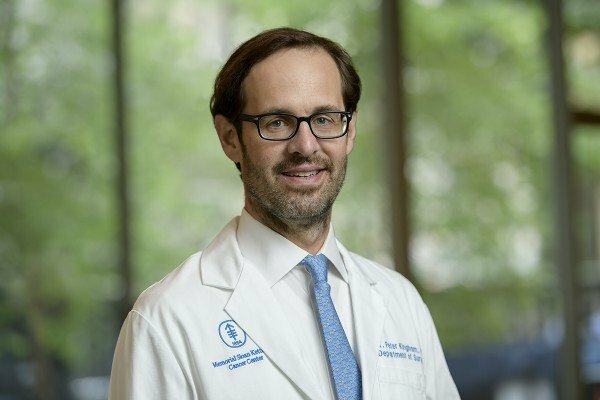 In addition to my patient care responsibilities, I have directed exciting clinical trials examining methods for quickly determining the stage of pancreatic cancer, identifying genetic signatures of colorectal cancer to create genetic scoring systems, and using an image-guided 3-dimensional liver modeling system to improve outcomes of liver surgery. I have also written multiple book chapters and many papers on topics related to treating tumors of the liver, bile ducts, gallbladder, and pancreas, and given lectures internationally. When I am not in the clinic or operating room at MSK, I try to share my knowledge and experience with healthcare professionals around the world. Over the past 17 years, I have spent time in developing countries — Tanzania, Sierra Leone, South Africa, Mexico, Malawi, and Nigeria — providing surgery and cancer care, and also training local medical professionals. These experiences led me, in 2007, to co-found Surgeons OverSeas (SOS), a non-profit organization for which I now serve as president. In 2015, I was appointed Director of Global Cancer Disparity Initiatives at MSK. We have created a consortium of hospitals in West Africa that allows us to collaborate with physicians working in low-income countries. These efforts have led to several prospective studies that will determine how to diagnose patients with cancer in low resource environments and determine why some cancers seem to behave differently in West African patients when compared with the same cancers in US patients. Visit PubMed for a full listing of Dr. Kingham’s journal articles. Pubmed is an online index of research papers and other articles from the US National Library of Medicine and the National Institutes of Health.